All of Chinese Literature Condensed Rebooted! After suffering several setbacks, the production has been rebooted and supercharged with a new cast member, SM, and ASM. 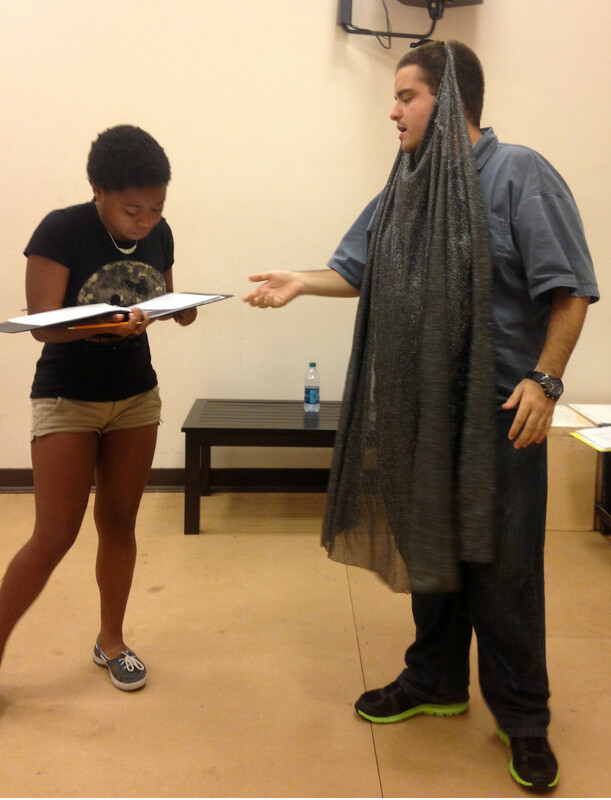 Here is a rehearsal shot featuring Alex as Lu Zhi Shen and Andria as Old Man. Everyone is getting really excited about the opening on October 10th! The rehearsals for my thesis play are continuing to go well. All four actors are very excited and dedicated to the show, though we lost our stage manager. 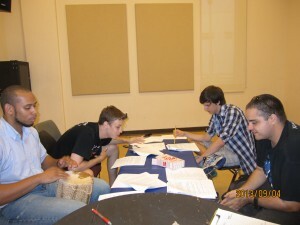 Nothing like popcorn and drums to raise morale! Check out this picture from our table work the other day.